Exceptional value! Fully upgraded kitchen with all new appliances! 3 masters + private bath rooms, and a bunk bed room for the kids! The Hyatt rents a single room for $400+ per night, but rent for four days or more, and pay as low as $375/night (excluding holidays)! Great multi-family location. 4 flat screen smartTVs, Sonos, AppleTV, and a pool table in the living area downstairs! Plush linens & plenty of towels! Upstairs offers two king-size bed master suites with private baths, at each end of the house, separated by kitchen/dining and large living room with fireplace! Downstairs is a similar set up, with one queen bed + private bath, then a bunk bed room with a 4th shared bathroom, utilities room, and second living area with Queen size futon. Skiing as close as five minutes away to Diamond Peak, Mount Rose - 15 minutes, Northstar - 20 minutes, and 40 minutes to Alpine or Squaw Valley! Active family, 1 child in elementary school, 2 in middle school, & 1 in high school. Play many sports, love the water (wet & frozen) and love the outdoors. Currently live in Austin, Texas, which offers great schools, affordable living, and a wonderful family atmosphere. Love to ski, mountain bike, and enjoy the lake. Few places in the world you can do all this with endless fresh air! Just a nice cozy place to stay. Dual master bedrooms up, over bedrooms below, make it perfect for 2 families, or a good group of friends. Ski hard or bike all day, and come back to a relaxing wood fire and private hot tub to sooth the aching joints. The house has a very filtered view of Lake Tahoe from the deck and the hot tub. 2 of them! For the added load, or just a different taste! Both a regular one & a large toaster oven for toasting larger iterms, warming up pizza, making a quick creation! 12 full settings...and then some! Pool table and plenty of cues! Xbox + 3 controllers on the downstairs Flatscreen...bring your own games, and we have some too! Private Sundance hot tub, with great foot jets - for relaxing after a hike or huge powder day! Sundance Hot Tub, HD Cable TV service with movie channels available in both living areas (One 42" Vizio 1080 HD downstairs & a 52" Phillips 1080 HD upstairs), plus new 42" SmartTVs built-in Roku + DVD players in each master and the downstairs twin bedroom! We even have a Pack & Play for watching the little one! We had an EPIC weekend in Tahoe! House was perfect and worked so well for our family. Location is great and view is spectacular! House is well equipped for cooking big meals. Crock Pot came in handy for coming home from skiing to a warm pot of delicious chili. Game room and bunk house down stairs gave the kids their own space while upstairs was roomy enough for songs around the fire. I liked ample dining seating and open floor plan. Thanks to John for being so responsive and helpful, it truly made for an unforgettable vacation. We all agreed, we'll be trying to recreate this weekend for years to come! We had a great stay in Incline Village over New Year’s. The place was large and well equipped for our family. Four bedrooms with comfortable beds. Huge TV in the upstairs living room. Plenty of seating. Newly done kitchen with everything needed to cook a meal. The hot tub was convenient and perfect temperature. Great rec room for the kids with a pool table and Xbox. The owners were incredibly responsive and sorted out our one issue with the cable tv connection in less than 30 minutes after we called them. 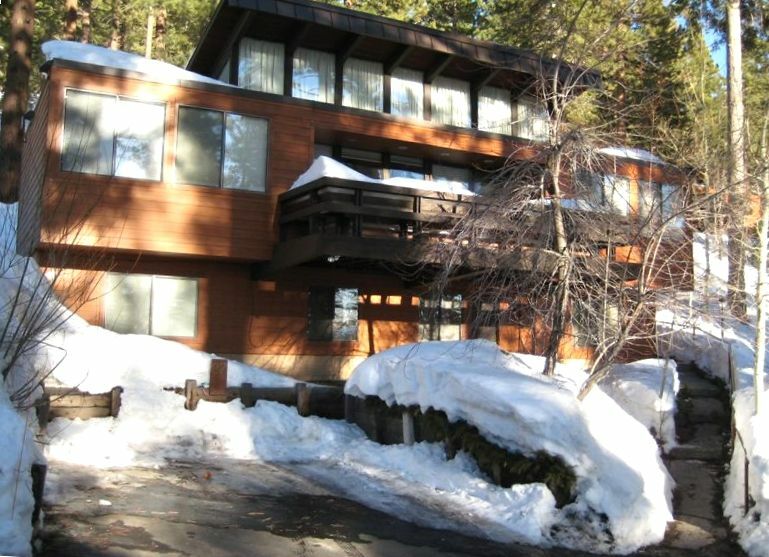 Easy access to Incline Village and a quick drive to a number of ski resorts. We’ll definitely stay here again! So glad you enjoyed your stay. We love hosting family gatherings! Next year will be even better, we just installed a new hot tub cover and lift to make relaxation easier, added a new dishwasher today, and will be upgrading the flooring this fall. My family of 7 (2 adults, 5 children under 11) enjoyed our rental of this home. We have family in the area. So we mostly slept, showered, and ate breakfast here. The home is convenient and well stocked. John, the owner was extremely helpful. This was our 5th stay. We come every year we can because it's the perfect place for our families. We're a large group and there's plenty of cozy beds to sleep in, plenty of living space, 4 full bathrooms,a large open kitchen stocked with everything you could need, a large dining table and washer and dryer. We also love the location up on the hill with beautiful lake views and a quick drive to the beach. We go on lots of walks, enjoy the hot tub, play lots of games and relax. The owners are always improving and updating the house. We love it! Everything you could possibly want or need! Kitchen was incredibly well stocked (cutting boards, lime juicer, multiple different fancy wine glasses for different varietals, meat tenderizer, just to name a few). This property was unique due to having four separate bedrooms with large beds, and en-suite bathrooms for three of them! Would stay again in a heartbeat. Jeff, Thanks so much for taking yhe time to post a review. We completely appreciate the good words, and continue to invest in our home. We’re homored to share it with you and hope you can make it back! Probably 15%-20% of our rentals are guests who are “back for more”!